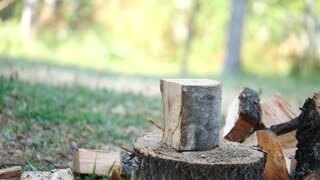 Man chops wood with axe in the forest. 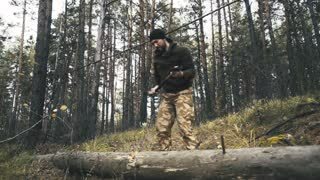 Forester cuts wood. 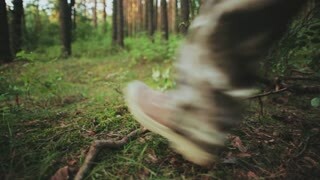 Close-up view of the male foot in boot goes through the forest meadow. Man in overalls exploring the nature park alone. 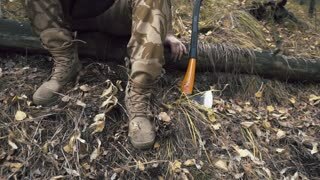 close up view of an axe cutting thee. slow motion. Slivers fly. 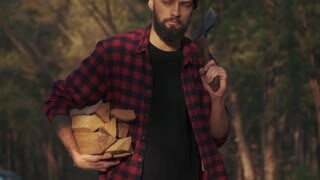 Bearded guy walk in the forest with chopped logs in one hand and axe in his shoulder. Forester carries firewood. Slow motion. 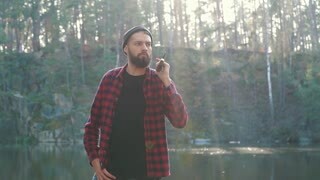 Bearded man stay with an axe in his hand in the forest. 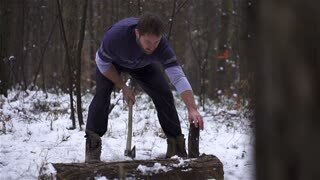 Brutal serious man with axe outdoors. Peaceful pine nursery garden in Denmark. Middle of the day, the sun is shining. 24 April 2019: Arborist Cuts Linden Trees in the Center of Riga, Latvia. Climber Arborist Working at Tree. 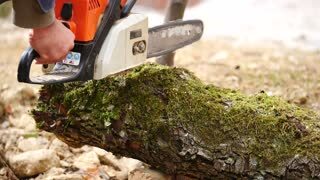 Arborist at Work Cutting a Tree Branch Using a Saw.